If you have a loved one who is incapable of appropriately providing for his or her daily needs (such as health, safety, food, or hygiene) or who is incapable of managing his or her personal finances, then he or she may be declared disabled or incompetent in Kentucky. This population is particularly vulnerable to exploitation and abuse; seeking the legal authority to prevent such exploitation is often the best option and our office would be glad to discuss the possibilities with you. The Oldham County Attorney helps people who are seeking guardianship or conservatorship for disabled loved ones in Oldham County. Kentucky is one of the few states in the nation that still requires a jury trial to declare someone disabled. Our office presents the case to the jury and advocates for the appointment of a guardian or conservator, but can take no role in advocating who the court should appoint to serve in either of those capacities. 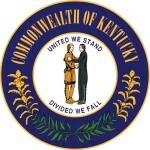 Kentucky Protection and Advocacy has developed a very good document about guardianship and conservatorship issues. It is strongly encouraged that you read this pamphlet if you think guardianship might be appropriate to your situation. Another great resource is Guardianship in Kentucky. Often, we see parents seeking guardianship of severely disabled children who have reached adulthood. Eighteen may seem like a young age, but in Kentucky it means a person is independently responsible for his or her daily needs. Being an adult means a person can do such things as vote, sign contracts, or consent to or deny medical treatment without anyone else’s approval. This is true even for people with disabilities who require assistance in managing their personal affairs and/or financial resources. If you are interested in seeking guardianship over a loved one, please call the County Attorney’s office to set up an appointment to discuss your particular situation.